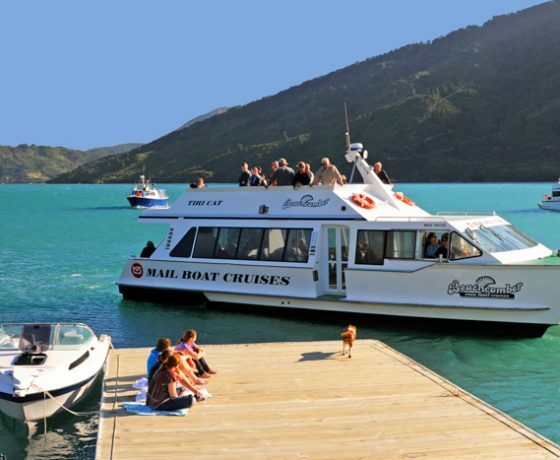 Join Beachcomber Cruises on The Magic Mail Run, the only official licensed New Zealand Post Rural delivery service by water in the Queen Charlotte Sound. 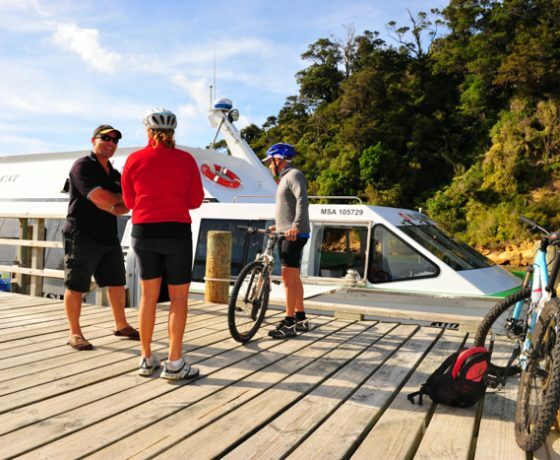 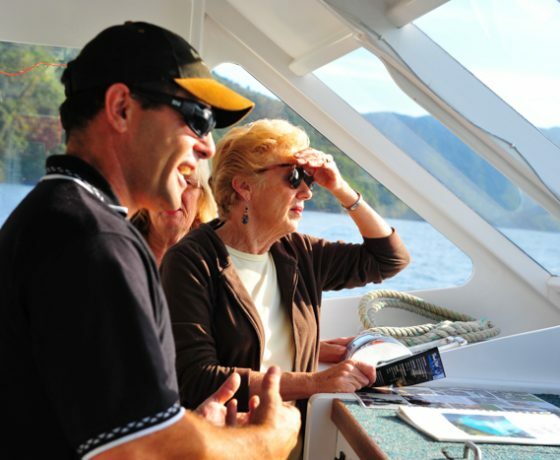 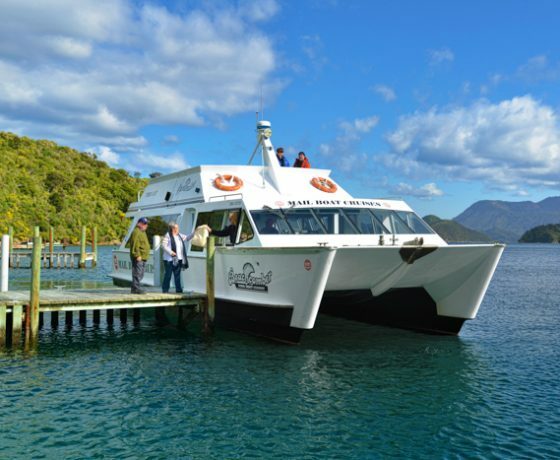 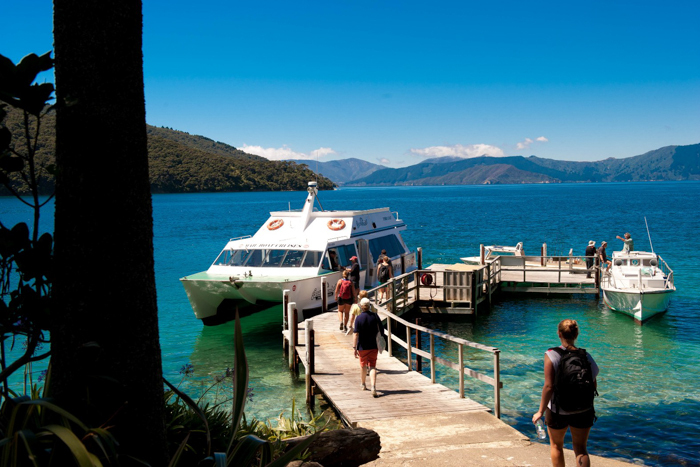 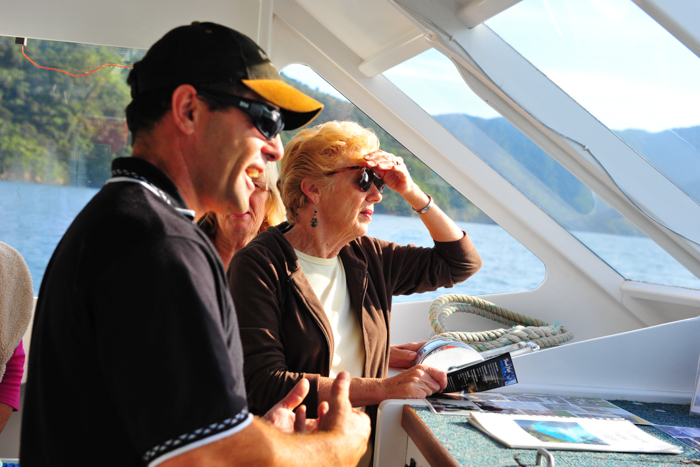 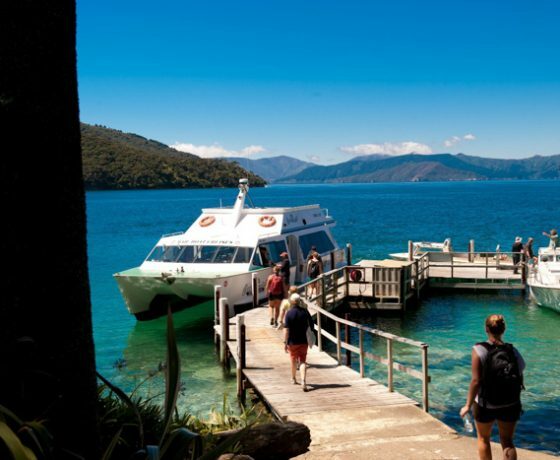 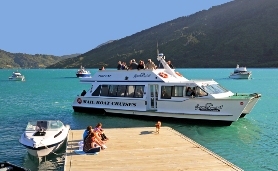 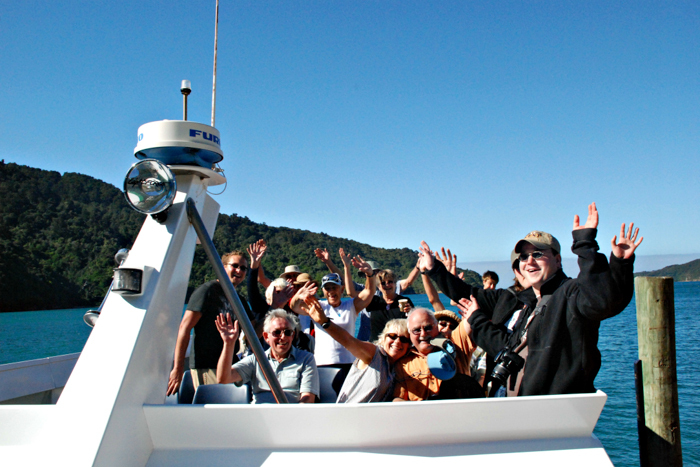 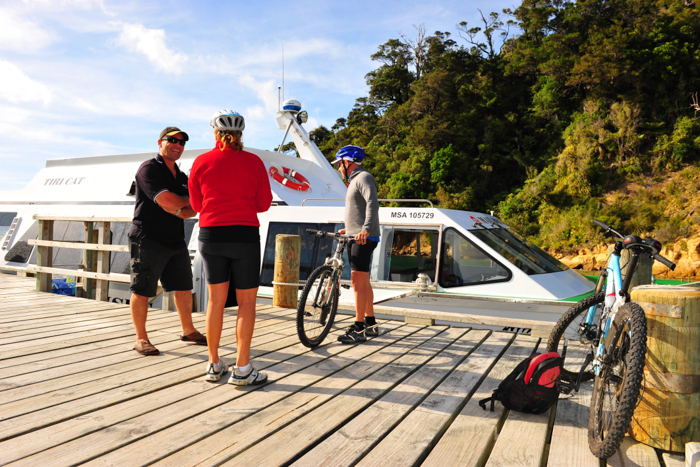 This is our most popular trip and a great way to explore the beautiful Marlborough Sounds. 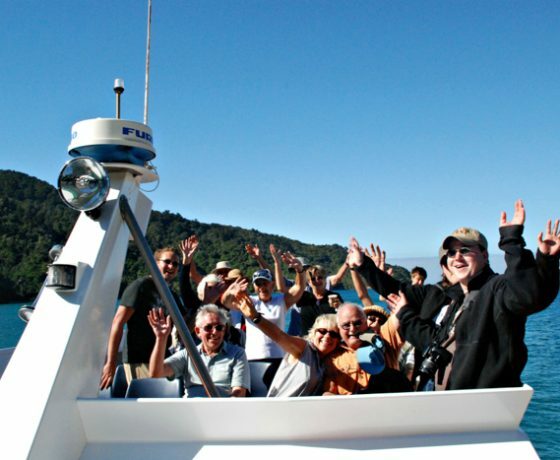 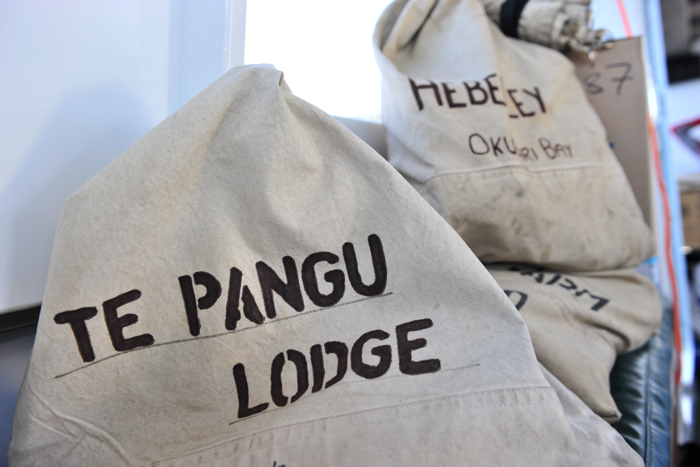 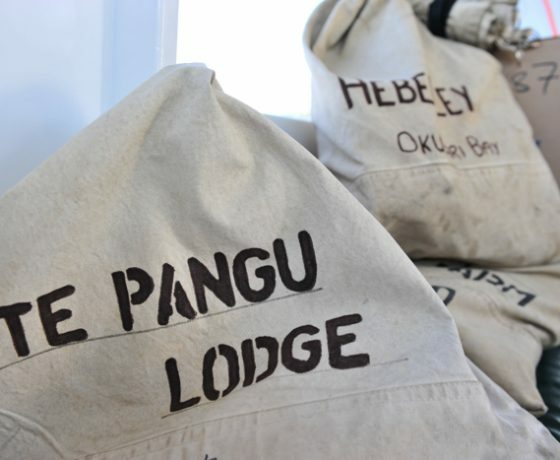 Share the excitement of mail day as we cruise the Queen Charlotte Sounds and deliver mail and groceries to the families that live in these beautiful, remote places. 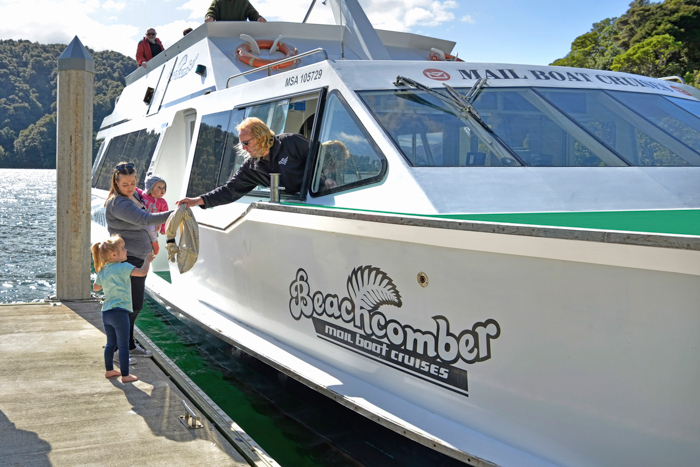 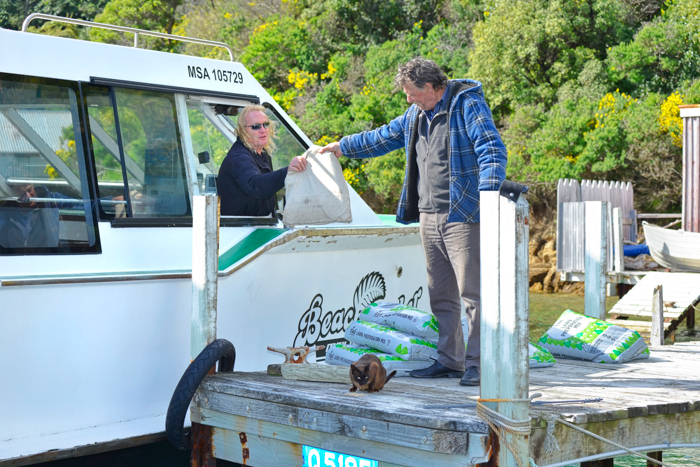 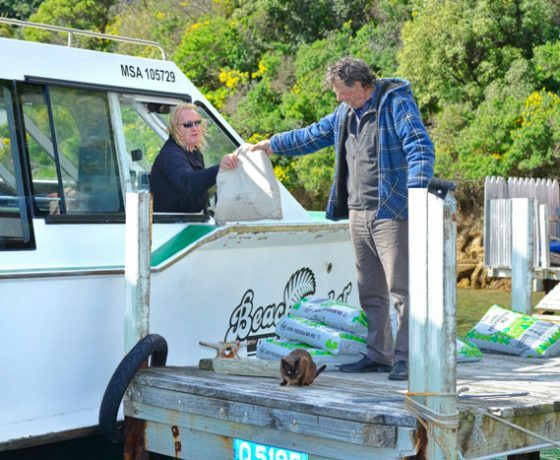 The Beachcomber Mail Boat departs Picton at 1.30pm from Monday to Saturday and no one day is the same as the route changes daily. 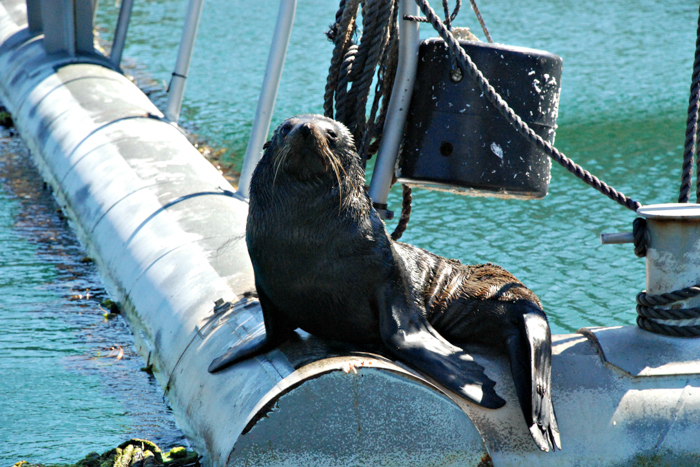 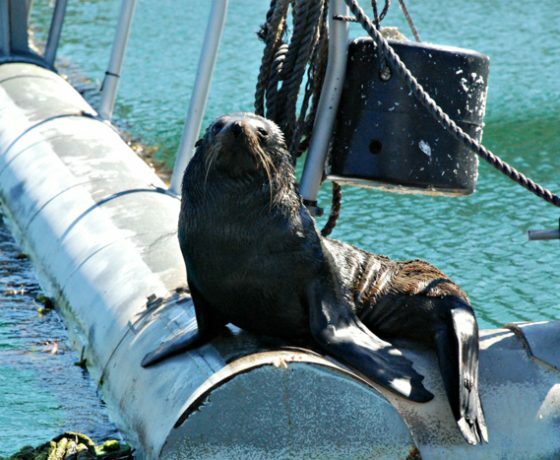 Wave to the local residents and laugh at the antics of their pets who eagerly anticipate a tasty treat in the form of a biscuit from the Mail Boat Captain as they wait on the wharf to greet the boat and receive their mail. 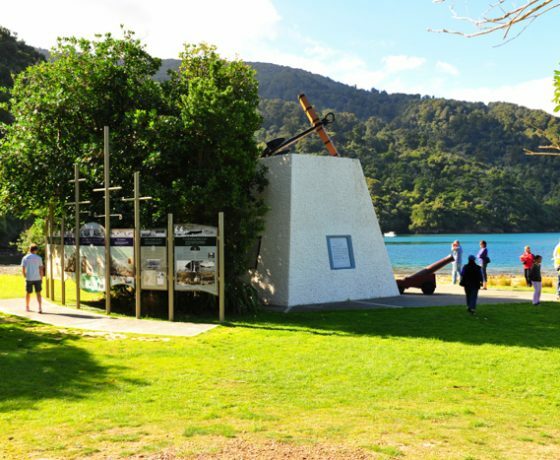 No matter the route all cruises spend 15 minutes at Ship Cove which was named by Captain James Cook in 1770 when the ship ‘Endeavour’ anchored here to replenish supplies of food and water. 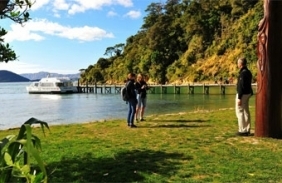 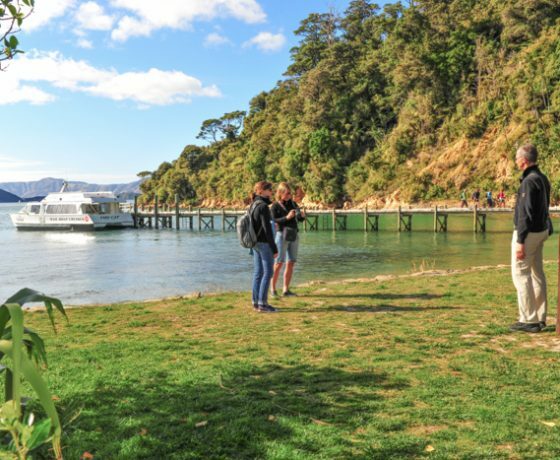 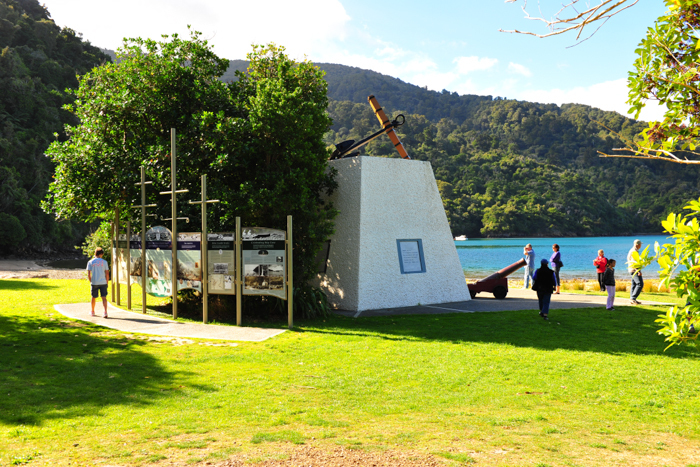 Step ashore and go back in time as you wander the beach, read the information boards, have your photo taken by the Ship Cove Memorial and be entertained by the cheeky resident Weka, Oyster Catchers and Paradise Ducks. 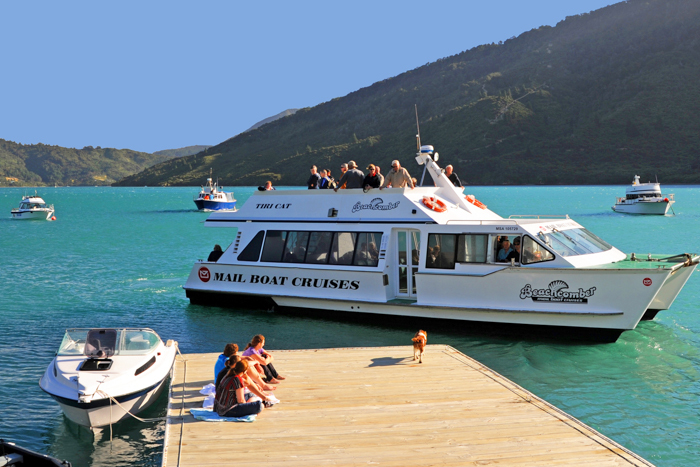 During the summer all cruises return via Endeavour Inlet to pick up and drop guests off at the waterside resorts, giving you the opportunity to have a good look around this beautiful inlet. 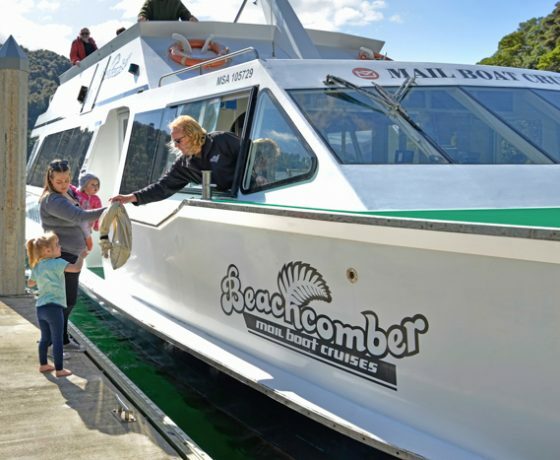 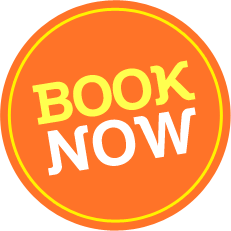 Join us at Beachcomber Cruises for this unique cruise, sit back and relax with a complimentary tea or coffee and if the sea air makes you hungry feel free to bring your own food and beverages on-board. There is nothing quite like sea air, sunshine and good company to increase your appetite! 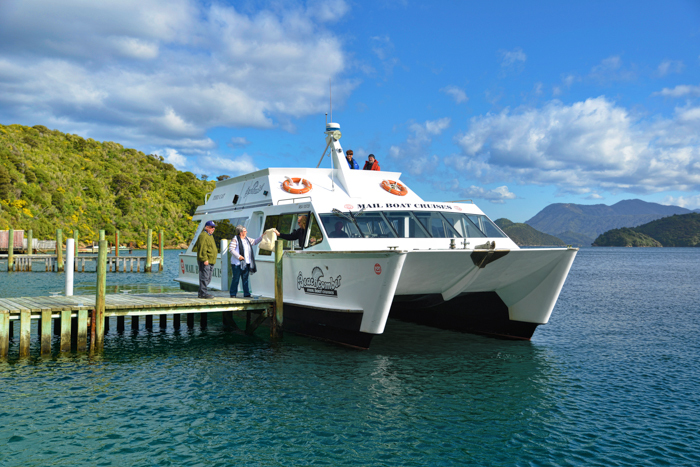 Return to Picton at approximately 5.30pm.